Twenty-two time national champion Tar Heels adopt ground-breaking mobile technology to evaluate their players. “This is the future,” said Anson Dorrance, North Carolina women's soccer coach. “SportsBoard’s revolutionary app will help us become more efficient in recruiting future Tar Heels and in making our own players more accountable." The University of North Carolina Tar Heels Women’s Soccer program, with 22 national championships, is one of the most successful sports programs in history. Now, the defending champion Tar Heels are joining the elite ranks technologically, adopting SportsBoard’s ground-breaking mobile player assessment solution for recruiting, season and camps. 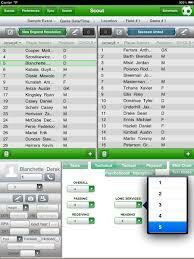 Coach Anson Dorrance, known for being one of the first college coaches to use analytics at practice as a way to challenge and maximize the performance of each player, is impressed that managers can tally stats live using SportsBoard on an iPad and generate efficiency reports within minutes of practice ending. Chris Ducar, a long-time assistant and top recruiter for UNC, is amazed by how easily he can use the SportsBoard app on his iPad to evaluate players on the recruiting trail more efficiently. 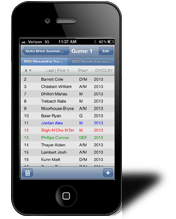 Founded in 2011 by Gregg Jacobs, SportsBoard is a mobile player assessment software company for recruiting, season and camp activities. SportsBoard is currently available for 12 sports, including football, baseball, basketball, soccer, lacrosse, ice hockey, field hockey, tennis, volleyball, rugby, softball, field hockey, and soon strength & conditioning, golf, water polo, gymnastics, wrestling, cheerleading and refereeing. More than 160 Division I through Division III colleges have adopted SportsBoard's iPad- and cloud-based technology, including Stanford, UNC, Duke, Notre Dame, Miami, Maryland, San Diego State and many others. Based in San Rafael, CA, SportsBoard is a registered trademark of West Shore Technologies. To learn more about SportsBoard, visit http://sportsboard-win.com.